George Young JR, 9/0 catfish hook, strong! Sharp! 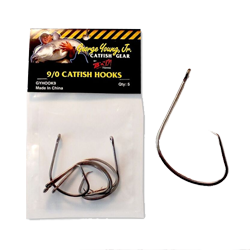 Wide gap, for those oversized baits and those monster cats, the 9/0 offset circle hook is the pros choice.